→ What kind of beer are you? 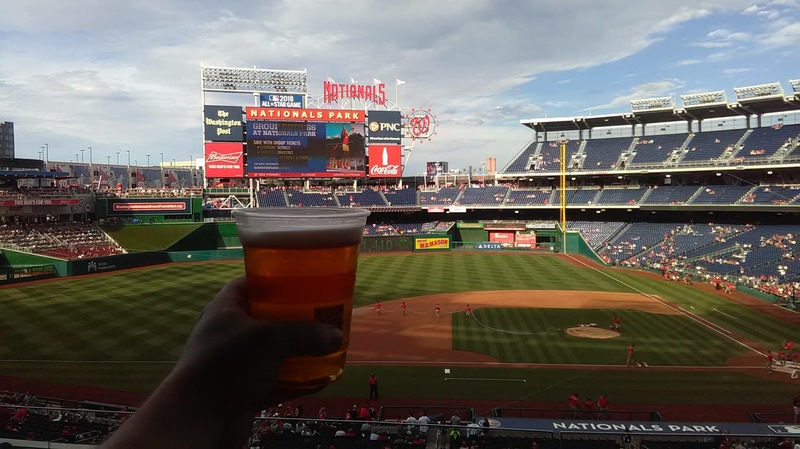 High: We are one of seven craft beers on tap at Nats Park … and both the Nats and Old Ox are knocking it out of the Park! High: We added two of the prettiest 20-barrel fermentation tanks you have ever seen. 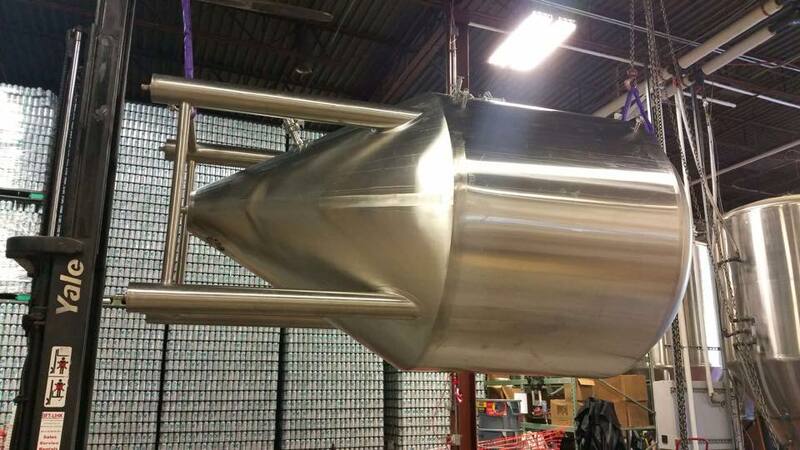 Low: We need even more fermentation tanks and delivery time is six months! Low: Losing Graham’s ‘stache in the fall—he was spending more time in front of the mirror than his wife. High: The return of Graham’s ‘stache in the spring—he’s back in front of the mirror and grumbling. High: The acquisition of our first bottling line allowed us to introduce limited edition beers like our new Funky Face Sours, Year of the Ox, Kristin’s Envy and Kristin’s Passion. High: We started offering a variety pack featuring Alpha Ox, Golden Ox and Black Ox with a seasonal favorite. 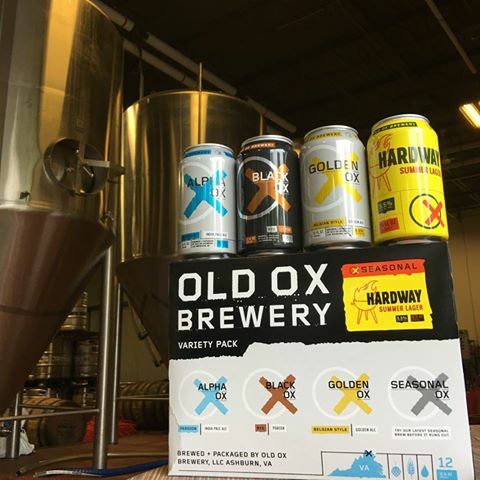 In the spring, the seasonal was Saison d’Ox and in the summer it was Hardway Lager. Watch for the Oxtober Bier in the fall variety pack. Low: We had to buy a new glycol chiller (that thing on the roof that ensures our beer ferments at the right temp)—which is kind of like getting a new roof…costs a lot of money but isn’t much fun to show off—however, when it wears out … you’re in big trouble! High: We got a new glycol chiller. We no longer have to climb up to the roof at all hours of the day or night to reboot an aging chiller. Low: We had to reschedule our Ashburn Volunteer Fire & Rescue Department Chilly Days Chili Fundraiser due to 30 inches of snow. High: We hosted events that raised more than $20,000 for various charities including AVFRD, Cystic Fibrosis, Kids R First, Lost Dog & Cat Rescue Foundation, Love Shack Dog Rescue, Mobile Hope, One Love Loudoun, Operation Enduring Warrior, Relay for Life, and We Finish Together. 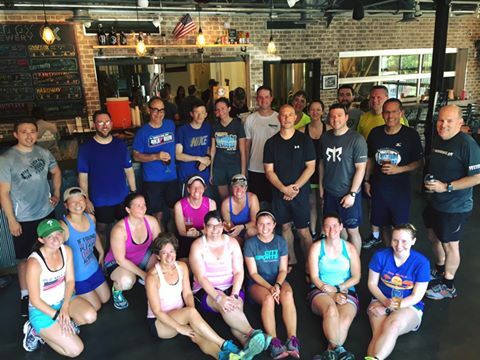 High: We launched our very own run club, the Trottin’ Oxen and today boasts over 300 members! High: We grew our staff by 36% adding Abigail, Alan, Anthony, Jess, Kenny, Hockey Joe, Ian, Tom T, Tom L, Samantha and Tyler to Team OX. Low: The Great Toilet Leak of 2015. You use a lot of water to brew beer, right? So we weren’t surprised when we were featured in Loudoun County Public Water’s newsletter. 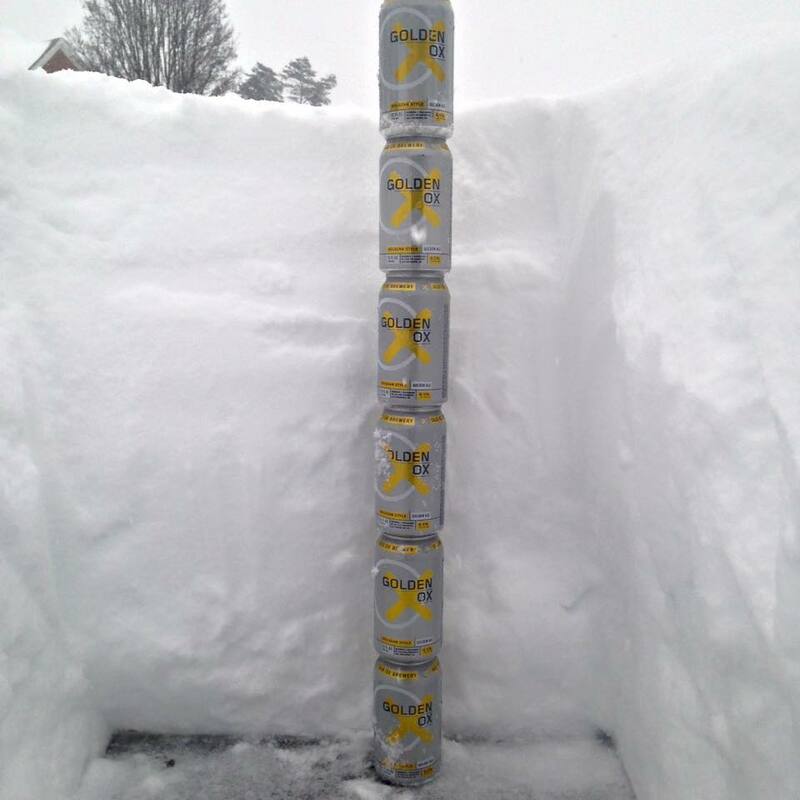 We were surprised, however, when we got the quarterly bill—4x what a normal brewery our size would consume! Time to review our water consumption! We shut off every source of water that we used in the production process and checked the meter. It was still spinning like a top. We discovered the toilet shut-off float was set above the overflow tube in the women’s rest room, assuring the flow of the water to the toilet was never interrupted. Talk about flushing $$$ down the toilet! High: We welcomed more than 700 fellow beer lovers to our Year of the Ox Party in June which featured seven Old Ox specialty beers and 20 guest taps. 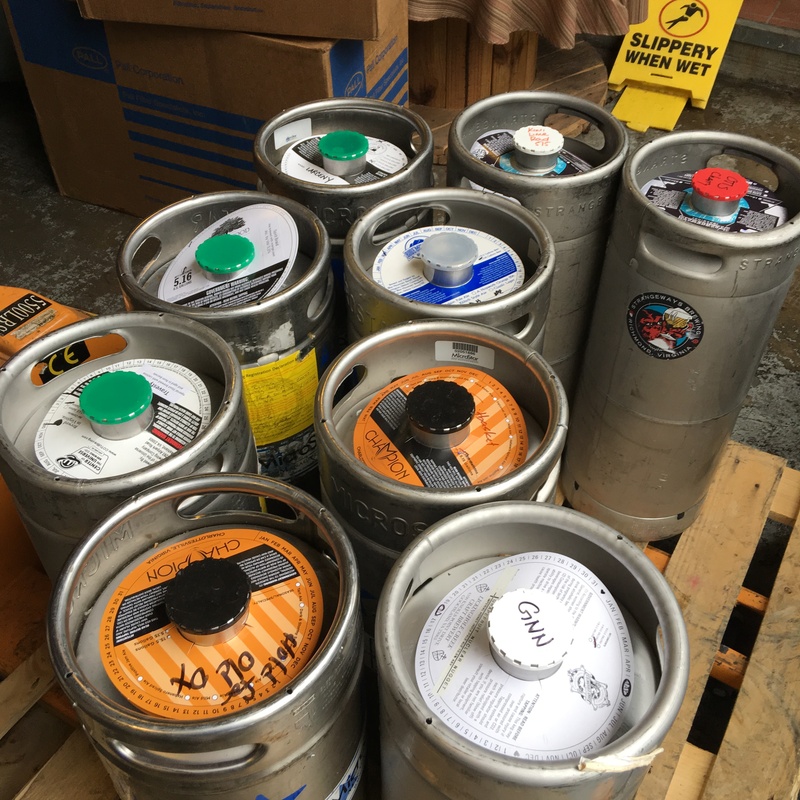 Low: Who’s going to return all of those kegs? High: We expanded our space by 2500 square feet! Low: The new space is scheduled to appear on an episode of Hoarders some time next year. High High: We continue to enjoy sharing our beer and our brewery with the terrific community that surrounds us. High: You guys are awesome and my favorite local brewery! High: When I can’t get to the brewery, finding your beer wherever I shop! Keep it up…you guys are great! Here’s to another awesome year!